Katrina has an extensive background in classical ballet and the Pilates Method. 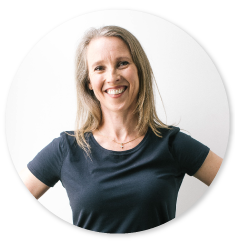 Katrina started her journey with the Pilates method in 1998 undertaking a teaching apprenticeship with Craig Phillips at Dance Medicine Australia, Melbourne in the setup of the first Pilates studio in Melbourne. Since then Katrina has continued to undertake further advanced training. Completing formal accreditation with Body Arts and Science International (BASI) in 2000–2001 followed by Diploma in Professional Pilates Instruction with Sally Anderson and PITC and then Advanced Diploma of the Pilates Method. Katrina opened her first Pilates studio in Moonee ponds in 2000. The business grew organically to where it is today with multiple locations and a registered training organisation offering government accredited qualifications. Katrina has extensive experience in teaching movement, drawing from her elite classical ballet background and performing experience. She is now employed in several elite classical ballet and sporting organisations across Melbourne. Katrina is a trainer for the Pilates International Certification Program (PICP) and a Director and Faculty Educator of National Pilates Training delivering the Pilates instructor training course Certificate IV in Pilates Matwork Instruction (91492 NSW), Diploma of Professional Pilates Instruction (91491 NSW) and the Advanced Diploma of the Pilates Method (91490 NSW). Why should you study with National Pilates Training?